Business Loans | HomeTown Bank, N.A. Loan decisions are made locally by people who share your interests. You can depend on us to do what’s right for the community and to do everything we can to promote worthwhile and progressive projects. We have a substantial commitment to commercial loan goals and will be as creative as prudent fiscal policy will allow when considering financing requests. 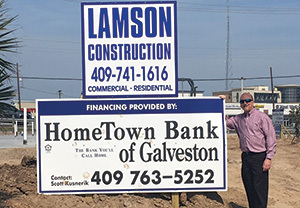 Whatever your business needs, big or small, HomeTown Bank promises to deliver competitive rates, quick decisions and the personal service you have come to expect.